Smiling Happy People: What's special about this picture? I mean, other than my adorable son? How about--this isn't where we put him down. 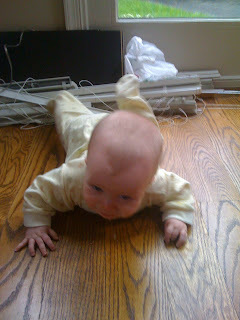 Henry is officially a crawler! Well, a scooter, but still, it's pretty adorable, and he was really proud of himself.